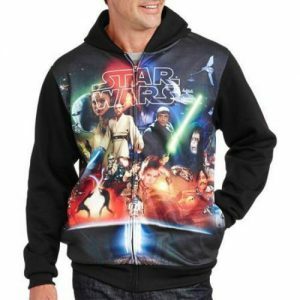 Star Wars Old School Vintage Classic Scenes Movie Mens Black Zip Up Hoodie – only $17.99 and SHIPS FREE! This is 64% off and almost sold out, which explains why it’s only available in Medium and XXL sizes. Heck, I’d go with the large size just for comfort’s sake.